Mechanical wristwatches, especially modern ones with jeweled movements, can last forever with the right care. They can, as well, be brought back to life if in reasonable condition. In the world of mechanics, anything assembled of small parts which are capable of maintaining 99% accuracy would be considered a top-tiered piece of machinery. To put things in perspective, if a watch is only 99.9% accurate it would be off by 1 minute and 27 seconds per day, which is unacceptable in the luxury watch world. Position: Due to gravity a watch will gain or loose more time if laid to rest in a single position. The balance wheel has been adjusted to compensate for losses and gains in different positions. An adjusted watch should perform overall within the specification when worn throughout the day. If you remove the watch at night you may want to find the optimum position that will compensate for drift during wear. A watch adjust to 2 positions has been adjusted to the first 2 positions, a watch that has been adjusted to 4 positions has generally been adjusted to the above 4 positions and so on. 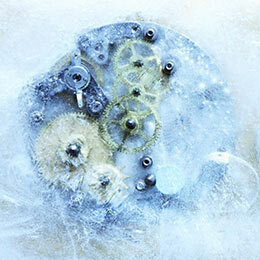 Temperature: The environment may have an impact on how accurate the watch operates. Temperature changes expand and contract many of the parts, changing the dimension and shapes - especially the balance wheel and hairspring. 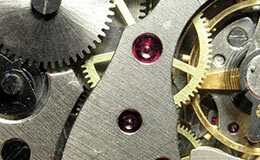 In modern watches most materials and designs are able to compensate for the changes and maintain a consistent rate. This is generally not a problem unless the watch is constantly in extreme weather environments and is corrected by a very simple regulation. Regulation: This is for a watch that runs consistently too fast or too slow - the keyword being "consistent". The solution would be to regulate the beat rate accordingly. This is a very simple and relatively quick procedure achieved by turning a screw. With the appropriate time-measuring machinery a qualified watchmaker can accomplish this in a matter of minutes. 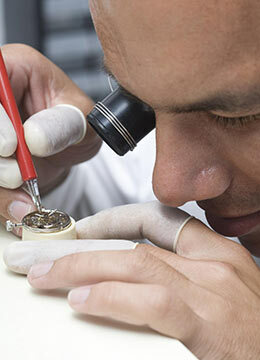 This procedure is probably one of the most common tasks for a watchmaker. Adjustment: This is for a watch that is fast or slow or does not have a consistent rate, especially in different positions. The balance wheel needs to be adjusted to compensate for the different positions. Although this too is a simple procedure, it does require a little more time to correct as each position needs to be monitored and adjusted. A mechanical wristwatch is comprised of small gears, miniature screws and paper-thin springs - as with any mechanical instruments that have constantly moving parts, a mechanical watch requires periodic maintenance. As a watch ages the lubricants start to break down and the gears shift ever so slightly, and the accuracy of the watch will decline as well. The accuracy may be compensated by performing a couple of regulations (see above) over the course of a few years. However, ultimately a complete overhaul will be required. There are a few methods of thought to the frequency of service. Some say that a service should be done every 2-3 years as the manufacturer suggests. Others subscribe to the "if it ain't broke, don't fix it" rule and will only send it in to the manufacturer once the watch stops working - which could be many years. We suggest a middle ground, the watch should be sent in every 5 years - or sooner if you notice something amiss. Waiting longer than 5 years to send it in will result in undue stress wearing out different parts, ultimately costing more to replace those components. A complete overhaul entails disassembling the movement, inspecting each component, replacing any damaged components, cleaning each part, lubricating, reassembling, adjusting and regulating the movement. The cost for a complete overhaul could start at roughly $250 for a simple watch, going up to $500 for a chronograph and into the thousands for a highly complicated watch. Magnetism: If a watch suddenly begins running extremely fast (20+ seconds per day to hours fast per day) it is usually an indication that the hairspring coils are magnetized, causing the coils to stick together. This shortens the rotation of the balance wheel and increases the beat rate extremely. Correcting this is one of the simplest tasks for a watch maker. The watch need not be opened (only in extreme cases) it is passed through a demagnetizing machine and is ready to go again. Magnetism can also cause a watch to stop or run slow; however, generally the watch will run fast. 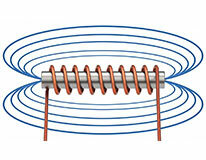 Tangled Coils: This could be caused by a small jolt to the movement. Although this is less likely than magnetism it is still a common cause of a watch running extremely fast. The coils are entangled, and this shortens the rotation of the balance wheel and significantly increases the beat rate. The good news is that the fix is fairly simple for a qualified watchmaker to accomplish. Overall Poor Operation: This is rare on a new watch and will generally be the case of a watch that is 4-5 years old. If the watch runs slow and cannot be corrected by a regulation, does not maintain a power reserve, stops working while on your wrist - it may signify a deeper issue, where the skills of an expert watchmaker are required to pin-point and correct the problem. The most extreme resolution is to have the watch completely overhauled. We generally recommend sending the watch back to the respective company for a job as such. Modern quartz/battery operated watches are generally more consistently accurate than mechanical wristwatches. Quartz watches are typically accurate to +/-1 second per day. Unlike mechanical wristwatches, where accuracy is dependant upon a variety of factors such as gravity, tolerances and lubricants, quartz watches will keep a consistent time to whatever the original accuracy is. However certain environments may cause quartz watches to lose their accuracy such as proximity to high magnetic fields such as MRI equipment, doctors' offices with x-ray equipment, dentist offices, etc. There is no need to make sure the watch is wound, which means less attention need be focused on the watch. Have your watch water tested once a year. Learn more about water resistance. 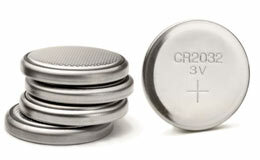 When having the battery changed, make sure you find a watchmaker that has the capability to open, seal and test the watch. Generally, you can find such watchmakers affiliated with or at a local authorized dealer for fine brand name watches (not necessarily your brand, but a brand of equivalent status).